Say what you want about the AirPods (I still think they’re great), but they are by far the most worn audio device. Everywhere you go, you see those white things hanging out of people’s ears. A couple of years ago, the hanging buds were considered weird. Now, they are the norm. 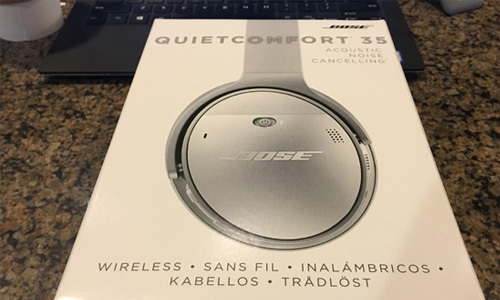 I’m not to0 crazy about these (Sorry, Bose — I love your other products), but other people are. I see people wearing these all the time. While they do generally have better sound than the AirPods, the ease of using them is a whole other ballgame. 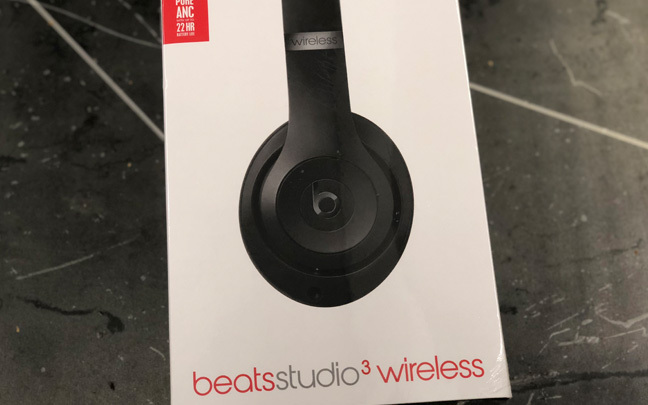 There are many wireless Beats headphones that I see people wear, but the PowerBeats3 seem to be the most popular among Dr. Dre’s brand, especially since they’re so portable and easy to pair. They seem to be substance over style, but only by a small fraction. These are the most popular over-the-ear headphones on the market today — for a great reason. The sound quality is excellent, and the noise cancellation is so good it’s frightening. 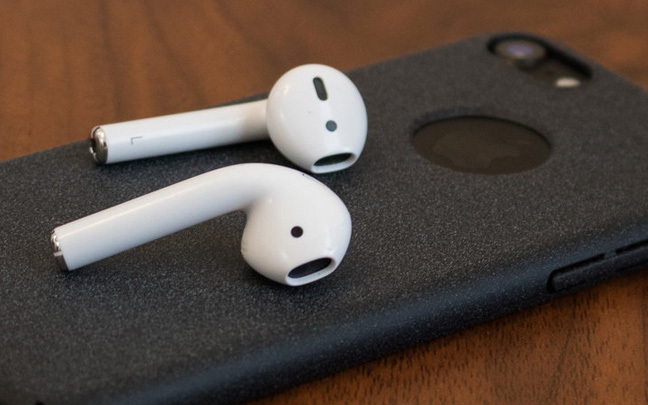 Apple’s regular wired headphones are still somewhat popular. You still see some people at the gym with them, but you also know they are rapidly becoming outdated. The fact is that wired earphones still sound better than wireless ones. Think about it: Sound from wired headphones flows without barely (if any) interruption, while sound from Bluetooth headphones needs to be compressed in order to travel — and there is still interruption. There is also a denigration of sound quality, although most of it won’t be detected by the human ear. Codecs such as aptX and AAC are supposed to decrease the denigration of the compressed sound. Perhaps we need headphones to use the Wi-Fi spectrum instead of the Bluetooth wireless one. However, the battery life of Wi-Fi headphones would be a huge issue. As long as people are happy with their Bluetooth headphones, the industry won’t make any compromises. But audiophiles like me still notice a difference between wired and wireless sound quality. The MacBook Pro is desperate for an upgrade. Trust me, the next MacBook Pro won’t have a Butterfly keyboard. There won’t be much travel to the keys, but there will at least by some. There will be no crunchy clicks. That is so 2017 by now. 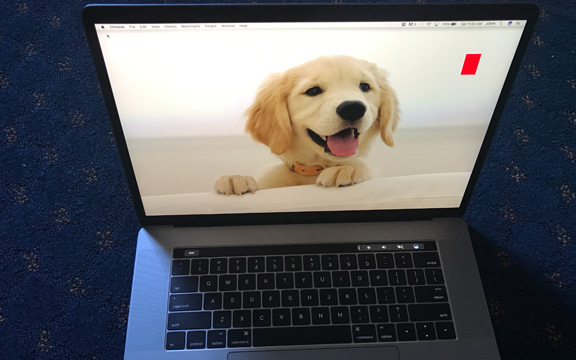 For those of you who have been stuck in a coma since 2015, Apple tried to make their notebooks even lighter by compromising their much-loved keyboard. They replaced it with a “Butterfly” keyboard, which has 40 percent smaller keys that are supposedly more accurate. The travel that keyboard warriors are used to is replaced by a crunchy feeling. There have been problems with Apple’s keyboard since it was introduced in 2015. Many owners complained of small crumbs or dust that would get under the keys and make them inoperable. As Business Insider explains, Apple has said it is aware there are a “small number” of users having problems with their third-generation butterfly keyboard (as well as previous generations). They have even developed a Keyboard Service Program. In most situations, Apple only needs to replace individual keys. In other cases, they need to replace the entire keyboard. A lot of people are mocking Apple’s “small number” statement. “They really tried to downplay the issue by saying ‘small number.’ Most people who have the keyboard seem to have issues. 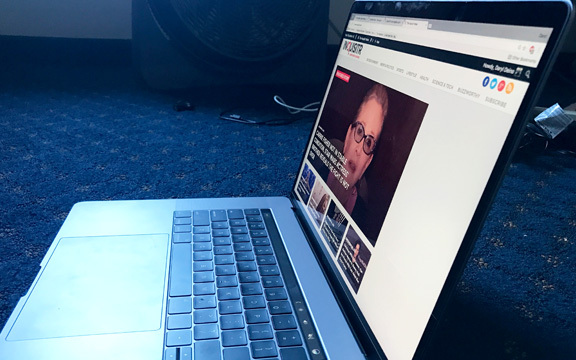 I have a MacBook Air 2018 and the ‘e’ key clicks itself twice sometimes,” says MacRumors forum member Rosegoldoli. “To show how widespread this problem is, just go to ANY Apple store and try out their laptops with this butterfly keyboard. 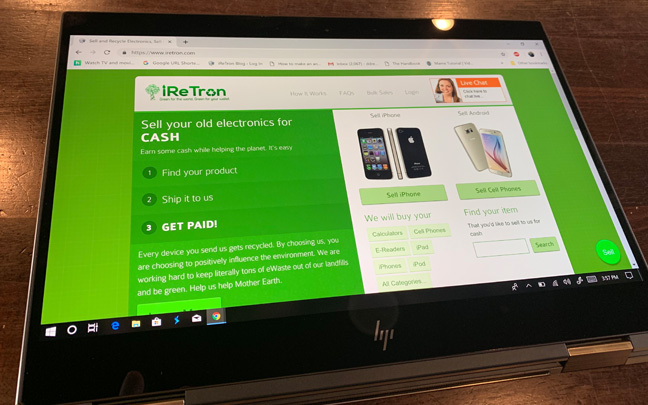 You’ll find several of them with broken keys,” says Mozumder. Actually, I’ve gone to the Apple Store in Irvine and Glendale, CA over the past three days. 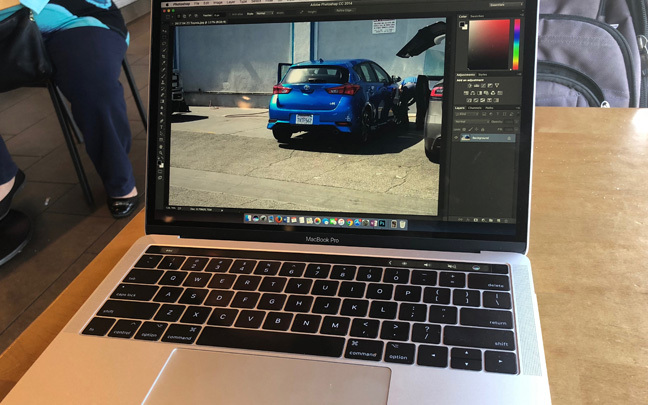 Both stores had at least two MacBook Pro models on display that had defective keys. I’m surprised Apple still keeps their devices with defective keyboards on display. But they won’t have to worry much longer. If Apple wants to survive in notebook market, the Butterfly keyboard has to go. The MacBook Pro is expected to be updated this year — possibly by the Christmas season. There are rumors that Apple is releasing a 13-inch and 16-inch version of Apple’s classic notebook. The most important rumor, however, is that Apple will revise the keyboard. This really isn’t a “rumor” as much as it is is given. If Apple doesn’t change the keyboard, they’ll be left in the dust more than they currently are by current PC notebooks. 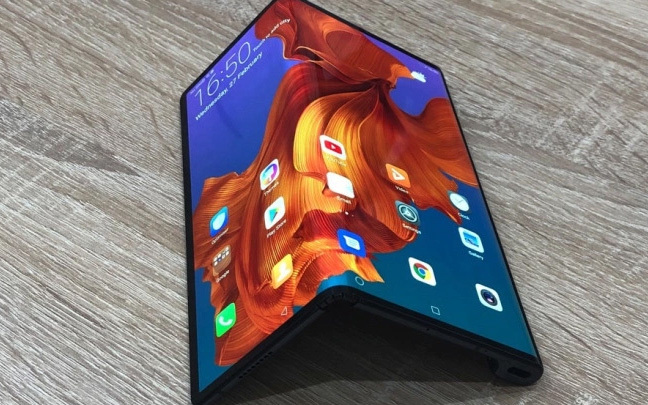 I would like to see Apple offer OLED screens this time around like Dell and HP are, although Apple’s True-Tone displays are the closest to perfection as LED screens can get. No matter what Apple offers, you can bet that the price tag will be astronomical. The PowerBeats Pro Earbuds may be Apple's best. According to 9to5Mac, the “true wireless” version of Beats’ PowerBeats earphones arrive in April. They look just like the popular PowerBeats2 headphones, except they don’t have a wire holding them together. They look like fins with round speakers that fit into your ears. That’s a good thing. But even though one may look slightly ridiculous at first, the public could become used to it. 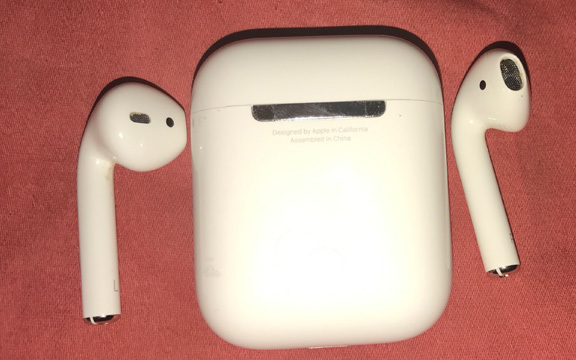 Remember when the AirPods first came out and people looked strange with those white things hanging from their ears? Well, now everybody wears them. There is still some negativity surrounding Beats, a company that once showed far more style than substance. However, things have been much different since Apple took ownership. For example, the Beats Studio3 Wireless headphones are well-built, have excellent sound, and excellent noise cancellation. In some ways, they are more comfortable than competing headphones by Bose and Sony. Beats is the real deal. The PowerBeats Pro will have the same H1 chip that the AirPods 2 has. It will also respond to the “Hey, Siri” voice prompt. 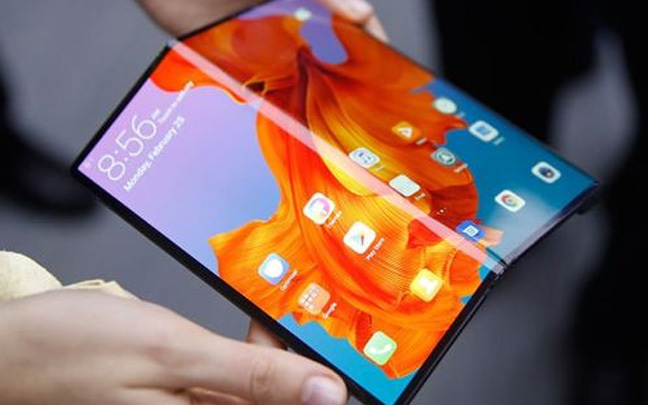 But how will these work with Android devices? 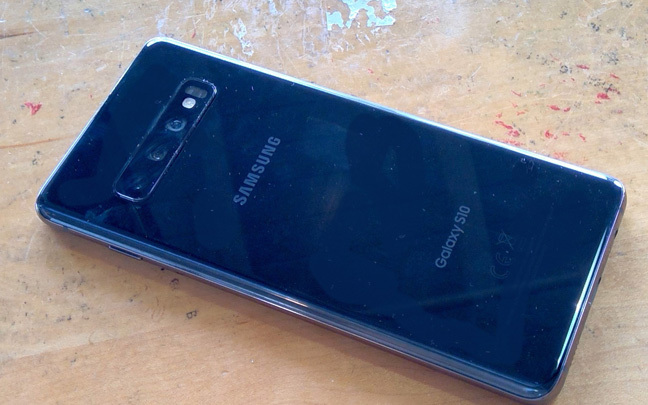 It’s unlikely they’ll have the aptX codec that Samsung smartphones have. And nobody knows if the PowerBeats Pro buds will work with Google Assistant, though it’s very likely. The battery life of the buds also is a mystery, but they should offer at least five hours on a single charge. The PowerBeats Pro will likely run $199, but nobody knows for sure. 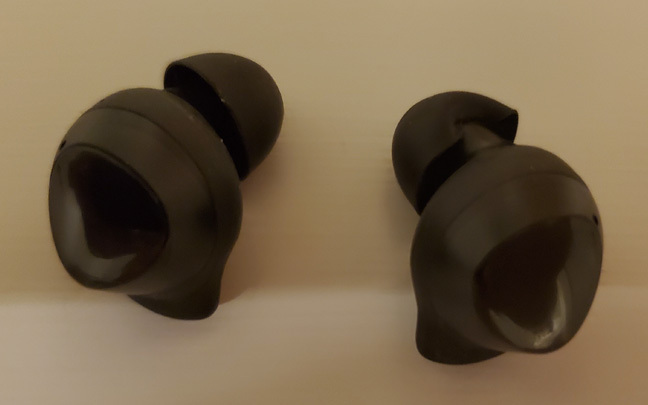 From an expert perspective, I would still recommend the Sennheiser Momentum True Wireless earbuds. In a previous review, I said they are great but not for everybody. However, with some updates, they have become great….for everybody. $299 is a high price tag, but the Momentum True Wireless have audio codecs for just about every kind of device. 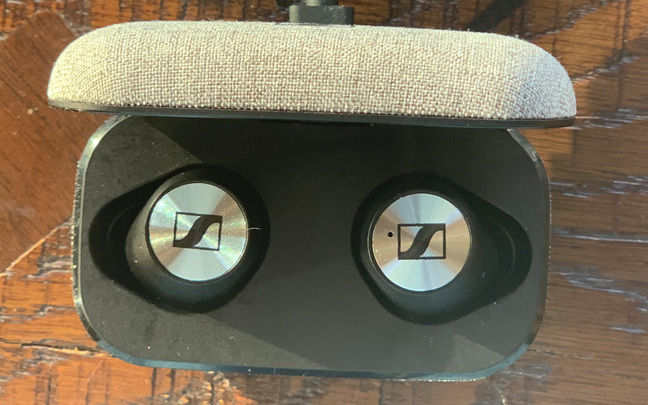 Sennheiser's Momentum True Wireless earbuds are still the best. I’m still hoping Apple will come up with the “ultimate” earbuds someday. If any company can create hassle-free wireless earbuds with all-day battery life, Apple could. But for now, the PowerBeats Pro buds look like Apple is at least moving things into the right direction. The AirPods have to be one of the best technical inventions of the decade. They really revolutionized how people listen to music and communicate. If you go to a gym or walk down a city street, you’ll see at least one in ten people with Apple’s white wireless headphones hanging out of their ears. I guess one could say that it’s a good thing they don’t need to upgrade to the new AirPods. Apple announced the AirPods 2 this week, and Apple is bragging about faster connect times, more talk time, and a hands-free version of Siri. 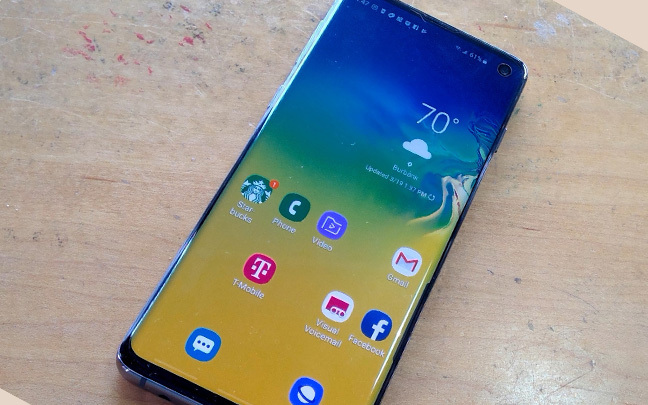 There is a slightly more expensive version that has a wireless charging case. There is no improvement in sound quality (at least from what we know in reports), no noise cancellation options, and no options with different colors. They should be called the AirPods S; this isn’t a “next generation” device. Apple's AirPods are -- by far -- the best selling buds on the market. Apple really doesn’t have to worry about a “next generation” device for the AirPods since they are selling so well. 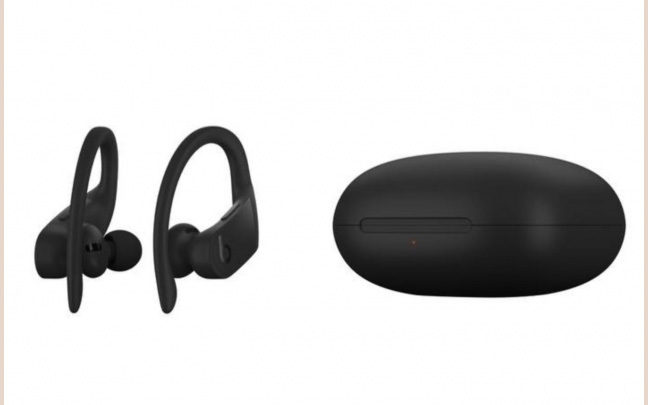 But other companies are playing catch-up, and from the looks of it, Samsung has produced their own version of the AirPods that are better than the original, at least according to ZDNet. 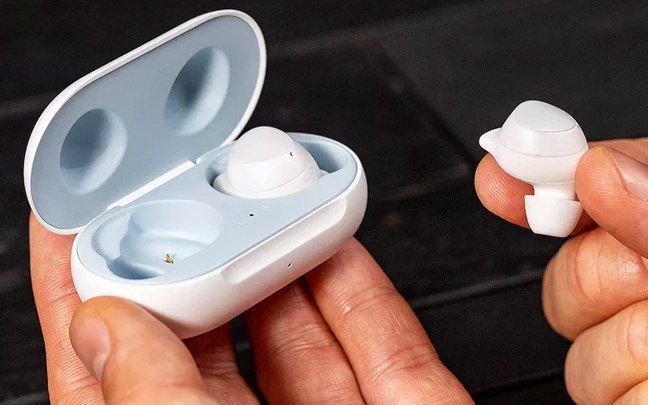 The article notes that the Galaxy Buds are $70 less and one should definitely consider these — even if they own an Apple device. Tom’s Guide agrees. 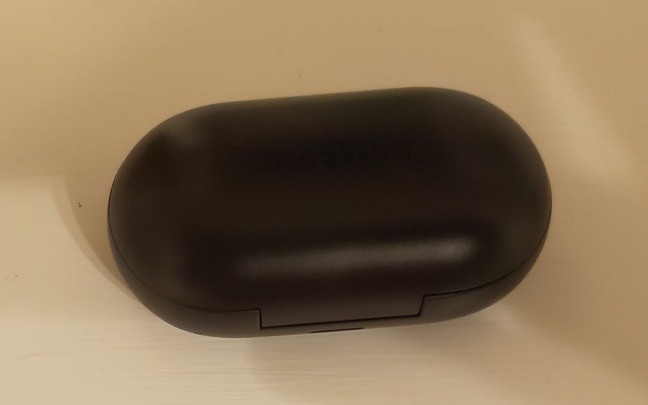 “After some attempts at wireless earbuds with mixed results, it looks like Samsung has finally found the answer to the truly wireless earbud question. 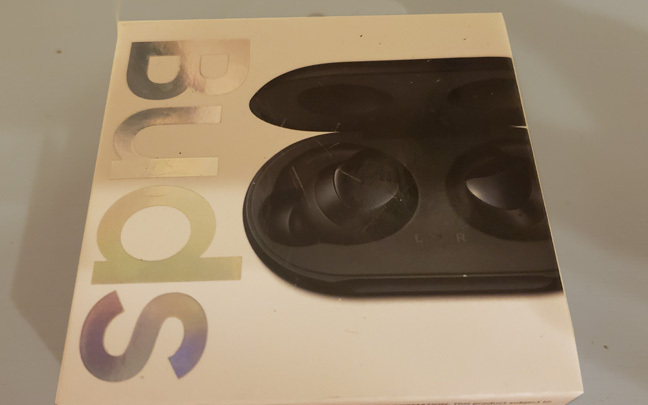 The $129.99 Buds offer that same magical instantaneous pairing the AirPods deliver, only for Samsung devices,” claims author Sherri L. Smith, adding that the Galaxy Buds have more important features. Apple will continue to sell millions of their “updated” AirPods. But as we’ve learned before, the best-selling isn’t always the best quality. 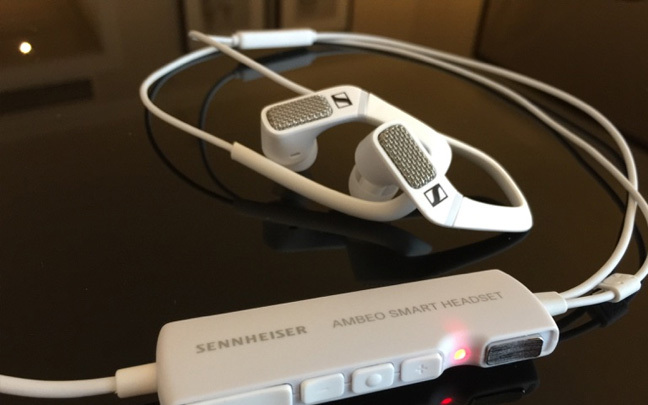 Apple really needs to step up its game now that other companies, such as Samsung and Sennheiser, are winning the wireless earbuds race. 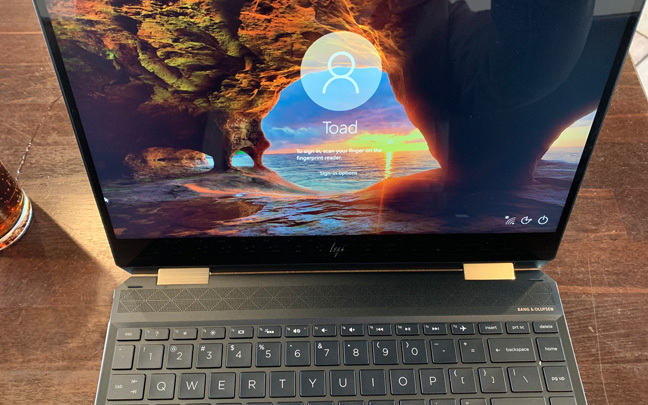 The version of the HP Spectre 13 talked about in this article is the one with a 4K screen, Intel Core i7 processor, 16GB RAM, and a 512 GB SSD. The thought that was put into building this thing is amazing. 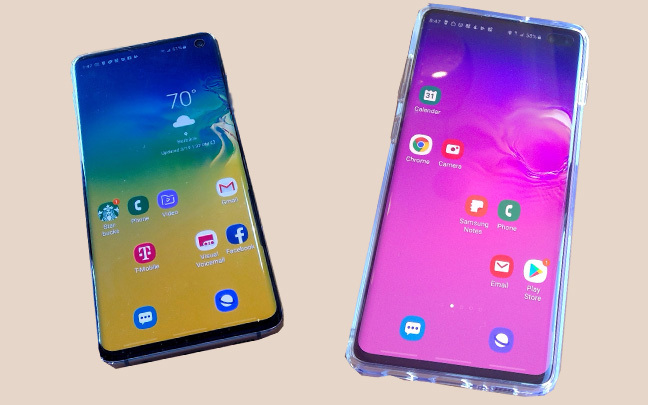 Top and bottom bezels are huge (sort of a turnoff). 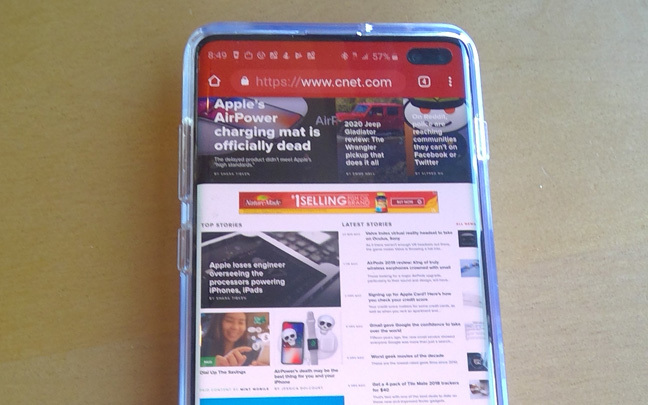 However, the side bezels are very small (sort of a turn-on). 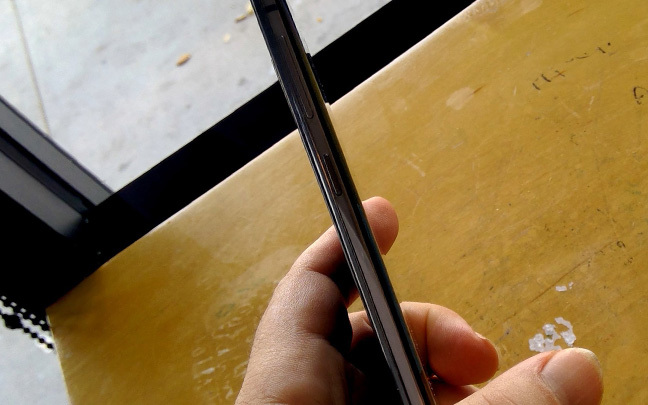 This thing is so thin — almost scarily so. I love the cut corners on the bottom, especially one where you plug in the AC Adapter. The touchpad is not a Microsoft Precision touchpad. However, there are drivers you can download. It’s worth it as it makes the Spectre X360 much easier to navigate. The screen is great, especially for a HP, a company not previously known for excellent contrast ratios. However, the contract ratio on this is almost as good as it is on the MacBook Pro. There is no backlight bleed whatsoever when testing a black screen in complete darkness. The Spectre x360 screen is very crisp. I really like the keyboard. Not a lot of travel to the keys, but they still feel very comfortable and you can feel the tactile feedback. 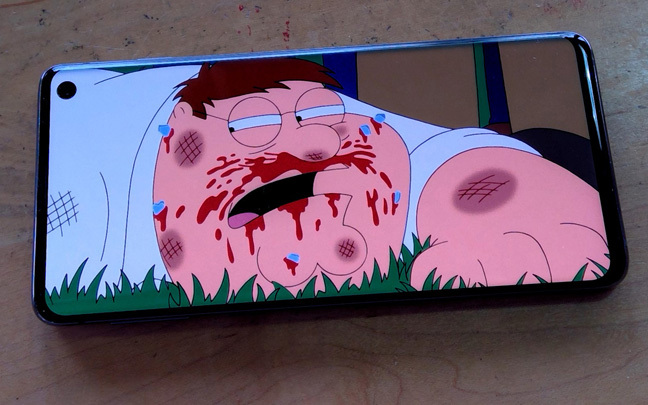 The bottom of the device gets pretty warm. But overall, the thermals are great for such a razor-thin device. The speakers are great — equal to the latest on the MacBook Pro 13. Dell could learn from HP on how to put great speakers on such a small device. 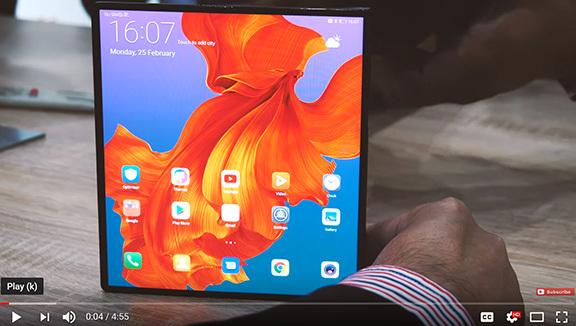 The Spectre x360 can be used as a tablet, but isn’t the most comfortable to use as this way. That’s okay, since HP doesn’t advertise it as a tablet. I miss the Wacom pen of previous HP devices. The N-Trig is good, but produces some pen jitter like the pen on the Surface Go LTE does. 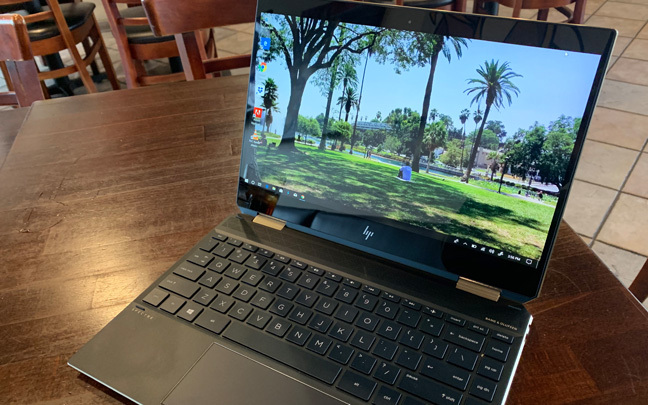 I love the leather case that HP includes with the Spectre x360. All companies should include a case. Even though this is a hybrid device, the screen is still pretty sturdy — not a lot of shaking when typing in regular mode. Photoshop on this works very well. In my full review, I will test Adobe Premiere Pro. Battery life is great for a 13-inch 4K laptop. I will have a full review of the Spectre X360 13 soon. This could be the best ultraportable laptop I’ve tested in years. We’ll see if things hold up past the honeymoon period. The Nintendo Switch is an incredible portable gaming machine, and the Joy-Con controllers that come with it are very good. 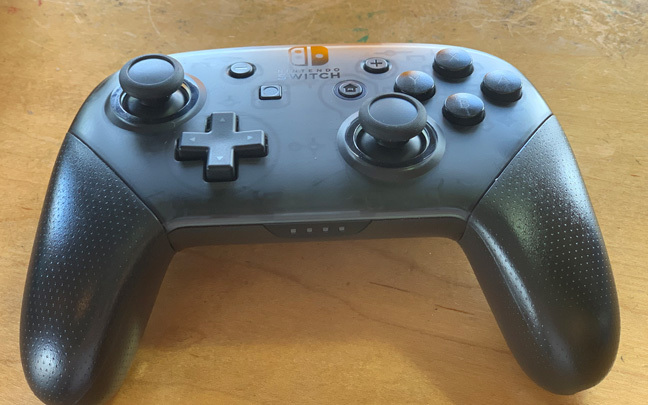 But once you try the Nintendo Switch Pro Controller, you probably won’t want to go back to the Joy-Cons. Sure, $60 is a lot when compared to other controllers. But you pay for what you get, and you get a lot with the Pro. It makes even the most boring games on the Nintendo Switch more exciting. And it makes several games that were ported to the Switch (Atari Flashback Classics, for example) playable. I wasn’t able to play Centipede with the Joy-Cons; the movements were too sensitive. That’s not an issue with the Pro controller. The Pro Controller really fits my hands like a glove. And the buttons are much bigger than the tiny Joy-Con buttons. There is also more of a cushy feeling when you press the buttons. After using the Pro for an hour, I didn’t feel any noticeable discomfort in my hands like I do with the Joy-Cons. Don’t get my wrong; the Joy-Cons are good too. It’s just that you start to dislike them once you use the Pro Controller. The Nintendo Switch Pro Controller has incredible battery life. The battery life, which is listed at 40 hours, is pretty incredible. There’s no real way to completely turn the power off on the Pro Controller, but you don’t need to. Even with a 15 minute charge, you are pretty much good to go all day. 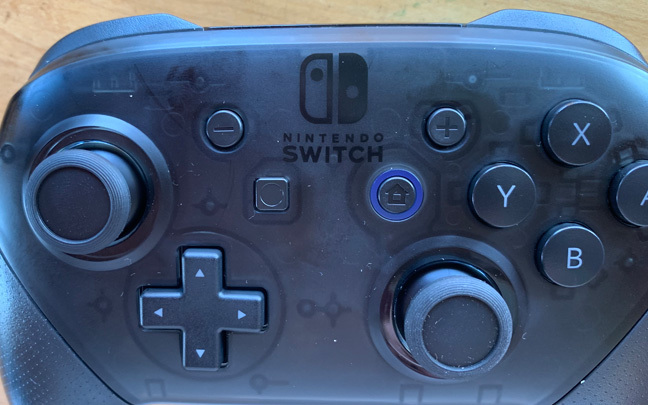 Battery power will run down, however, if any button is pressed while the Pro is not connected to the Switch. Of course, the Pro Controller isn’t just good for the Switch; it’s a fantastic controlling device for the PC as well. It makes games played on ColecoVison, Atari, SNES, and arcade emulators more enjoyable to play. There is confusion in setting up the device through Bluetooth in Windows 10. However, all you need to do is power off the Nintendo Switch to make things work smoothly. The Pro Controller is definitely portable. However, I wish it could be a little bit smaller. 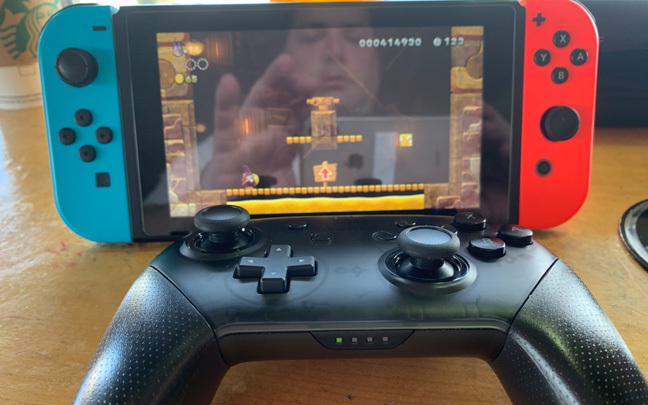 Then again, someone might say that you have the Joy-Cons for portability, and the Pro Controller is for the expert gamers who want to get the most out of their gaming — no matter what size. They are the ones that will attach the Nintendo Switch to their television set anyway, so having extra portable controllers don’t matter. Even though I’m not one of those “expert gamers,” the Pro Controller is still worth every penny of the $60 I spent. And I don’t worry about a better controller coming out either.